Art & Frame of Sarasota: New Everyday Savings! We have lowered our everyday prices on many of our most popular brands! Mabef Easels- 40% off list! Studio Designs Furniture & Lighting- 40% off list! 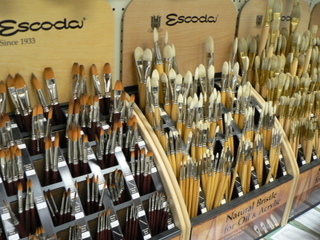 Escoda Brushes- 40% off list! Plus, as always Students & Teachers get an extra 10% off!